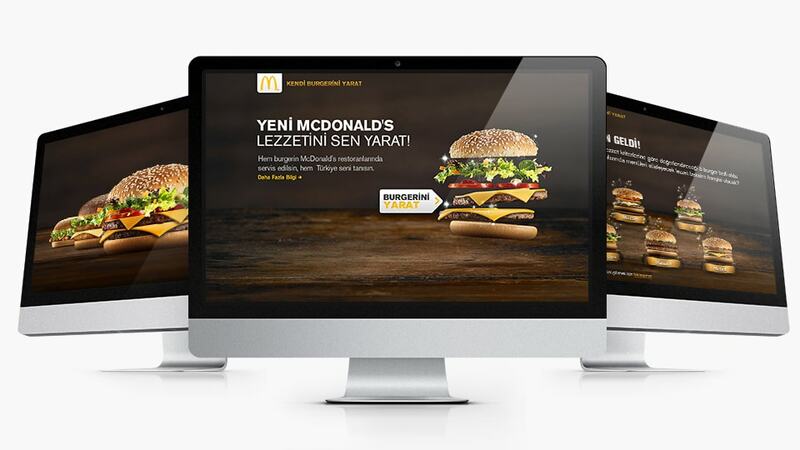 In 2013 McDonalds Turkey launched "Make Your Own Burger Campaign" Aim of the campaign was to let users create their own burgers on a exclusive micro site. The most voted burger took its place in McDonald’s restaurants. With tasty burger images and nice User Interface, the user couldn't resist to participate. The campaign was a huge success.